For more than 28 years expert toxicologist Dr. William R. Sawyer has been providing forensic toxicology consulting services and expert testimony. 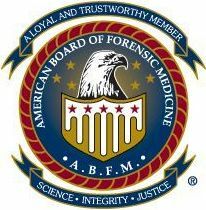 A diplomate of the American Board of Forensic Medicine, Dr. Sawyer has extensive experience in public health and forensic toxicology, specializing in causation analyses (plaintiff and defendant, criminal prosecution and defense), exposures and risk assessments involving dioxins, solvents, heavy metals, crude oil, alcohol, drugs-of-abuse, pharmaceuticals, herbal products, radionuclides/NORM and many other substances. Clients range from individuals to multi-national Fortune 500 companies with a historical ratio of approximately 45% to 55% defendants and plaintiffs respectively. 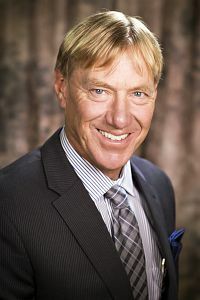 As a toxicologist with board certifications in forensic medicine and forensic examinations, Dr. Sawyer routinely provides impartial toxicological evaluations involving chemical exposures, alcohol ingestion, intentional poisonings in homicides, carcinogens, pharmaceuticals, pyrolysis products, heavy metals, organic chemicals and drugs of abuse in civil and criminal litigation. 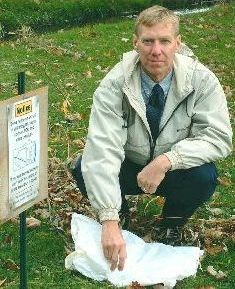 With more than 23 years of laboratory experience and 14 years of experience as a licensed environmental and clinical laboratory director in New York State, Dr. Sawyer has directed forensic laboratory analyses, sampling protocols and chain-of-custody documentation in numerous criminal and civil investigations. He is also a recognized specialist in forensic petroleum analyses (including LNAPL) as well as environmental and clinical analyses involving crude oil and petroleum-related exposures. As a scientist and public communicator in the area of toxic torts, Dr. Sawyer provides services to select plaintiffs and defendants, corporations, local law enforcement and governmental agencies. He has testified in trial or deposition in 34 states (AL, AR, CA, CO, CT, DE, FL, GA, IL, IN, KY, LA, MA, ME, MI, MN, MO, MS, MT, NC, NH, NJ, NY, OH, OK, PA, RI, SC, TN, TX, VA, WA, WI and WV) as well as in foreign countries as far away as Hong Kong. He has been frequently interviewed by news media and has broad experience in matters involving public scrutiny. A recent case study illustrates how the causative methods applied by the lead toxicologist in a well-publicized mass toxic tort matter can have a pivotal impact on the case outcome. Toxicologists study the effects of exposure to harmful chemicals and substances. The application of scientific knowledge and medical principles to solve legal problems is carried out by the forensic toxicologist. The Latin root word for forensic is forensis meaning forum or public debate. Historically, the term was used in ancient Rome with respect to business, governmental debates and actions by courts of law. Today, the expert toxicologist is responsible for determining what adverse effects and at what dosage a given substance has on humans, animals, biological systems and/or the environment. An expert toxicologist must have extensive knowledge and experience in biology, chemistry and the medical sciences with specialized training in toxicology, generally through a medical school. The expert toxicologist is able to apply these disciplines effectively to a broad spectrum of forensic matters. For more than 28 years, Toxicology Consultants and Assessment Specialists, LLC, (TCAS) has been providing professional toxicological consulting and expert opinions to legal firms, corporations and governmental agencies. TCAS offers a full range of expert toxicological evaluation specialties with final reports or affidavits as requested. We routinely work throughout the United States and Canada including the Virgin Islands, Bahamas and Hong Kong with offices in Florida and New York. TCAS provides comprehensive forensic and environmental exposure analyses, risk assessments and causation determinations. Dr. Sawyer performs the initial research, testing and exposure and dose calculations necessary to assess potential or alleged toxic exposures in criminal homicide matters, accidental poisonings, alleged alcohol intoxication matters, medical malpractice involving pharmaceuticals and chemical exposure causation determinations. Toxicology of drugs-of-abuse including marijuana/cannabis/THC, heroin, morphine, methadone, all opioids, cocaine, etc. Routine clients include defendants and plaintiffs in both public and private matters, nationally-recognized plaintiff and defense law firms involved in criminal and civil litigation, several state attorney general offices and the Office of the U.S. Attorney (Dept. of Justice). Other toxicological clients include municipalities, district attorney criminal prosecutors and criminal defense attorneys as well as private industry clients engaged in health and safety assessments. Referrals from past clients are available upon request. "Some professionals in my field routinely delegate tasks to others. I prefer to be directly at the center of the information gathering, exposure and causation assessment process. In some cases, this information may be only partially available or even missing entirely. In such cases I take proactive investigative steps to gather evidence and develop data as part of an exposure reconstruction, particularly if a case involves demonstrating or refuting causation." "Toxic exposure investigations include analytical protocols, referral of autopsy material for analysis, environmental and occupational health risk assessments, site assessment and causation determination. With deposition and/or trial expertise in more than 30 states, I am mindful of the need for the judge and jury to understand scientific concepts. Final work products include comprehensive demonstratives, citation and validation of scientific methods, forensic documentation and written reports used in both forensic and routine (non-judicial) assessments for multiple nationwide clients." "Through education, training and hands-on experience, I have gained extensive expertise in forensic toxicology (such as petroleum analyses involving LNAPL) as well as environmental and clinical forensic analyses. With more than 23 years of laboratory experience and more than 14 years as an environmental and clinical laboratory director in multiple states, I have directed a wide range of forensic laboratory analyses, sampling protocols and critical studies in criminal and civil matters. I have also provided petroleum spill assessments to multiple clients including governmental environmental agencies (such as NYSDEC), departments of justice, various state attorney general offices, defense and plaintiff law firms and industry including major oil companies and refineries. Rest assured your case will reside in the hands of an expert who insists on thorough and accurate results." Case studies in toxicology are impartial and objective summaries of toxicological matters in which TCAS was retained for the purpose of assessing toxicological factors. In some cases these led to a determination impairment, disease, death causation or no causation. No names or identifying information have been included to respect privacy and legal considerations. Fatal Accident Caused by Long-Term Drug Use? Window Washer's Deadly Fall Due to Heroin Abuse? Workmen's Compensation Benefits Denied for Presumed Drug Use? Dr. Sawyer decided to make this toxicology website both informational and instructional. To that end, he assembled a collection of case studies in toxicology from the TCAS archives. These case reviews illustrate fundamental principles of today's complex and demanding toxicological disciplines. It is our hope that these case studies will familiarize and educate readers with basic concepts in forensic toxicology. Additionally, reference pages have been provided to assist in understanding the role of an expert toxicologist in an exposure assessment. Numerous scholarly, peer-reviewed resources have been cited regarding different types of toxic substances. The Search box at the top of each page permits site-wide searching for any word or phrase. Dr. Sawyer's Curriculum Vitae is also available for review. Additional resources can be found in the navigation areas (above and below). 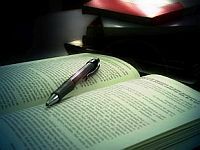 Content references have been included as footnotes wherever possible. Most of the images in this website originated with TCAS. Images originating elsewhere are cited with respect to sources and links to points of origin are provided wherever possible. Although we encourage you to make constructive use of our information, please note that all content presented in this website is copyrighted and may be reproduced or distributed only with prior permission from TCAS. We welcome you and hope you'll find the TCAS website to be useful. You are viewing this website in Desktop mode on a Desktop device.